In keeping with the South African History Archive's commitment to capturing lost or neglected histories, SAHA worked with three community interns from Tembisa in 2010 and 2011 to conduct oral history interviews with residents about the history of the community. Using images of the township in the 1980s taken by Gille de Vlieg, activist and Afrapix photographer, as a departure point, 27 interviews were conducted and transcribed, numerous scans of artefacts gathered in the course of this project, and a small exhibition and oral history competition with two high schools in Tembisa was hosted by Tembisa West Library to mark Heritage Day 2011. 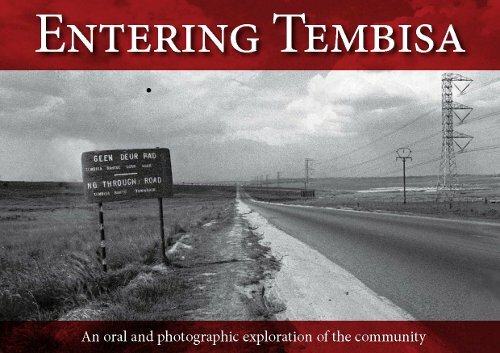 This report and the accompanying virtual exhibition draw on these interviews, archival research and photographs to tell a brief history of Tembisa. Tembisa (derived from Thembisa, an isiZulu word meaning Promise or Hope) is a large township situated to the north of Kempton Park on the East Rand, Gauteng, South Africa. Purported to be one of the largest townships in the Southern hemisphere, Tembisa has had its fair share of political turmoil, particularly in the early 1990s, as violence erupted in the lead up to the first democratic elections but little has been recorded about its history, particularly when compared with Soweto, the other large township in the Gauteng province.